Assistant Manager in various disciplines. The detailed eligibility and application process are given in below. Assistant Manager (Human Resources): 02 Years Full time MBA Courses/MSW/MA (PM & IR)/Equivalent Full time Post Graduate Diploma with specialization in Human Resources/ Personnel. Assistant Manager (Sales& Marketing): 02 Years Full time MBA Course/Equivalent Full time Postgraduate Diploma with relevant Specialization. Commerce Graduate with Intermediate Pass in CA & having minimum 05 years experience gained after possessing the qualifications in reputed Public /Private Limited Company will also be eligible. The selection process will be based on Online Examination. Based on Online Examination score, candidates will be shortlisted and will be called for Document verification. Negative marking with scoring 25% weightage for each question. Mode of Payment: Online mode through Payment gateway/Net banking/Debit card/Credit Card. Examination Centre: Allahabad, Bengaluru, Bhopal, Bhubaneswar, Chandigarh, Chennai, Delhi, Guwahati, Jammu, Jaipur, Kolkata, Mumbai, Patna, Raipur, Ranchi, Vadodara & Viskapattinam. 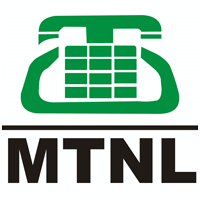 How to apply MTNL Recruitment 2018 for AM? All interested and eligible candidates can apply for this position in online latest by 27 September 2018.